Grey parquet flooring is only one of the many possible coloured parquet flooring options, but definitely counts as more fashionable one. It offers numerous styling options, is beautiful, even luxurious, and therefore among the most desirable contemporary hardwood parquet floorings. We offer some ideas for styling grey parquet flooring if you’re at a beginning stage of decorating and transforming your place into a home or if you’re just thinking about upgrading your interior with new flooring and would like it to match your existing furniture. Parquet flooring material is always wood, but you can play with parquet flooring style by choosing different wood species, textures, patterns and colours. Most traditional is brown hardwood parquet flooring, but at Floor Experts we offer a variety even among the most classical options. You can go for light brown or dark brown hardwood parquet flooring, brown with yellow tinge, red-brown or brown with blue or green shade. 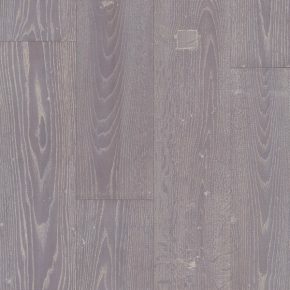 Even grey parquet flooring comes in different shades – from light, whitish grey parquet flooring to the one with bluish tinge or darker grey parquet flooring. No matter which one you’ll choose, you can rest assured, that at Floor Experts you’ll only get products from the best parquet flooring manufacturers in the world and that you parquet flooring style will always be impeccable. Grey parquet flooring is actually very grateful, when it comes to styling, because it goes well with a number of interior design choices. Pair grey hardwood parquet flooring with exposed brick, mostly monochromatic furniture and metal or silver details to achieve modern industrial look or with white walls and uniform, mostly white or black furniture and modest decoration if you favour Scandinavian design. Grey parquet flooring, complemented with natural wooden furnishing, will help you create a comfortable, modern interior, where you’ll be able to lay off all the worries and stress, caused by our contemporary lifestyle. And if you want to add more colours to your life, grey hardwood parquet flooring might also play an important role in your decoration. Grey parquet flooring namely offers an unobtrusive foundation, which you can complement with any colour you like – try yellow, green, red or purple, as well as green, blue or a combination of several colures. For more hardwood parquet flooring decoration ideas you can contact our friendly and professional staff at Floor Experts.